Our Norfolk Walking Holidays offer you a variety of choices in this historic and beautiful county of East Anglia. Walking is fast become one of the most popular past-times in the UK, and honestly, Norfolk is a fantastic place to walk, as it’s all easy graded! No huge mountains here. You may be taking your first self guided walking holiday and want a gentle introduction to easy graded walks, or maybe you're an experienced walker but looking for a less energetic and strenuous Norfolk walking holiday and are keen to ensure it’s completely hassle free and easy to organise. Or perhaps you're a solo walker who wants the added comfort of knowing that because we live in Norfolk, you can contact us at any time should there be an emergency. Or maybe you're coming from abroad and want help in planning your walking holiday around your trip to the UK. Or perhaps you're a group of friends or a local walking group who want a walking package organised for you. 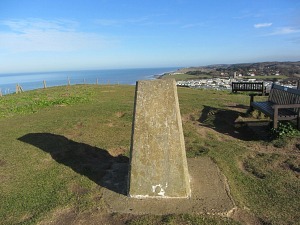 "Having returned home from Norfolk yesterday I just wanted to thank you for your excellent organisation of the walk. Everything was absolutely faultless - the accommodation was very good, the bags were always there when we needed them and everyone was very friendly and helpful. We walked well and ate well!! Even the weather couldn't be faulted, six days of sun, but with a breeze - the storm on Sunday arrived 20 minutes after we checked into the B & B!! Thank you once again. We are already planning our next long distance footpath - the company we use have a lot to live up to! I shall certainly recommend you, wholeheartedly, to anyone I know wishing to attempt the walk in future." "I chose Explore Norfolk UK because you are a small company and had local knowledge"
"Just wanted to say a huge thank you. 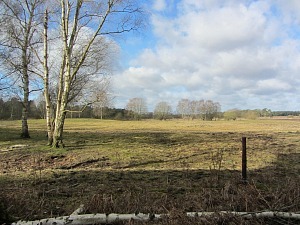 I have just returned home from my Norfolk Walk, having had a brilliant time. The accommodation was splendid - all very high quality, welcoming and comfortable!" Norfolk stately homes walking option. 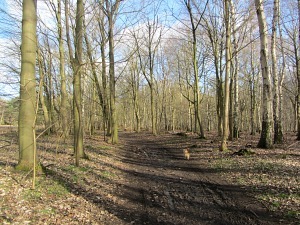 Or, any bespoke package you would like, maybe a 3 night stay and 2 day's walk - it doesn't have to be one of the trails. With us, you'll have the walk you want and feel totally comfortable from beginning to end that this walk is suitable for you. What I would suggest is that you browse through the options below, see which walk you would like to choose, and then fill out the booking form, or contact us via the enquiry form or email suzy@explorenorfolkuk.co.uk. In each instance, we can discuss the walks further with you and they can be tailor-made to fit in with your plans. This is one of the most beautiful stretches of coast in the UK with abundant wildlife and ever changing coastal landscape. This is a wonderfully historic, extremely peaceful and relaxing countryside National Trail ending on the coast of Norfolk. 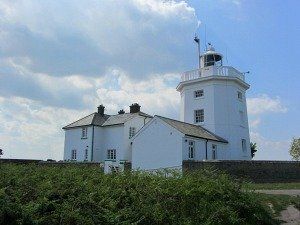 Combine the two National Trails for an extremely diverse and interesting walk from countryside to coast. Discover the wonderful Norfolk Broads on foot, walking along the River Yare from Norwich to Great Yarmouth. 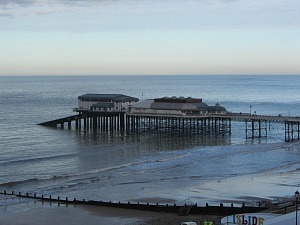 A 3 night stay for this group Norfolk walking holiday in Cromer with a choice of 7 varied walks all organised for you. Perfect for walking and rambling groups or just a group of friends wanting to enjoy a short walking break. 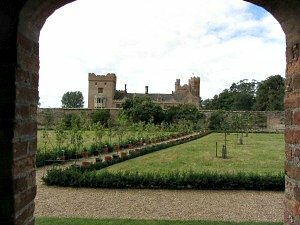 Three separate walks and two stately homes to visit in this itinerary. 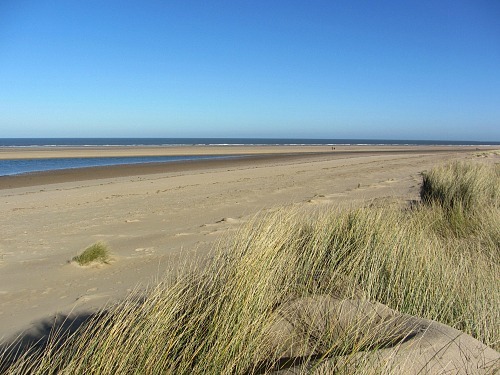 Experience the beautiful Norfolk coastline with our two 8 mile walks and stay in an 18th Century coaching inn. And because we live in Norfolk, we’ve obviously only picked the Norfolk walks and trails. 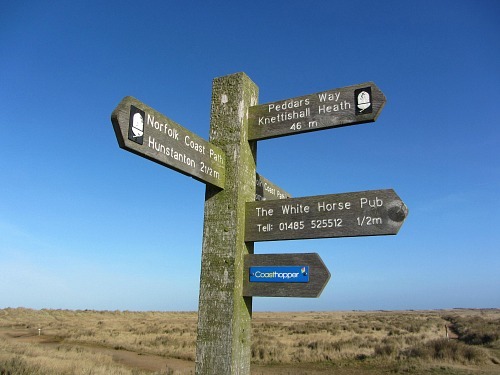 Both the Norfolk Coast Path and the Peddars Way are graded easy to moderate which is an ideal introduction to first time walkers, and perfect for those that fancy something a bit easier on the body. And through our ever-growing website, you’ll also be able to browse and search for other places of interest you’d like to visit alongside your Norfolk walking holidays. You can ask for help at any time from start to finish, the booking process is easy, and you leave the rest to us, meaning you’ll start your holiday in a completely relaxed frame of mind. 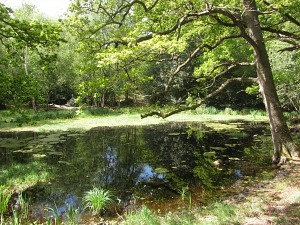 This will be a memorable and enjoyable Norfolk walking holiday. and you can experience all of this on the two National Trails of the Peddars Way and the Norfolk Coast Path as well as experiencing the Broads on foot with our Wherryman's Way walking trail. 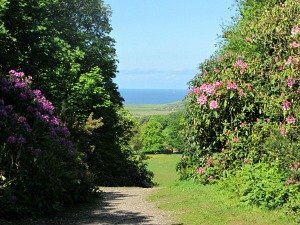 You can also visit some of the other landscapes in Norfolk surrounding the best stately homes in the UK as well as our Sheringham Short Break walking holiday where you can take in amazing views across the North Norfolk landscape. explore somewhere maybe you don't know such as Norfolk? Along the Norfolk Coast Path and Peddars Way you will pass from woodland to open countryside, to heathland and pretty flint stone villages, to sand dunes, cliff tops, National Nature Reserves to Victorian towns to splendid, glorious and grand stately homes and grounds! What more could you want!? Along the Wherryman's Way you'll be closely following the River Yare, walking amongst the reed beds of the Broads and discovering what the Broads is all about. 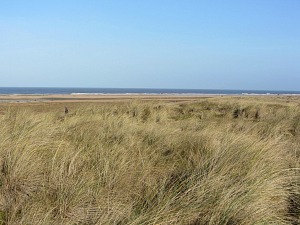 A variety of choice for you to choose on these Norfolk Walking Holidays. Actually, one thing you won’t get here are large hills! 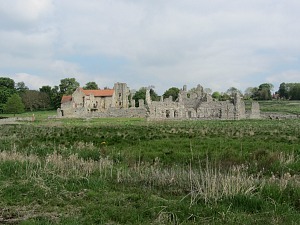 So all of the Norfolk walking holidays with Explore Norfolk UK are easy to moderate going which is excellent if you’re new to walking, or if you want a less energetic walking holiday. We’re here to help tailor your Norfolk walking holiday so you can experience all of the above within 4-11 days. Peddars Way and Norfolk Coast Path combined - between 6 and 10 days. 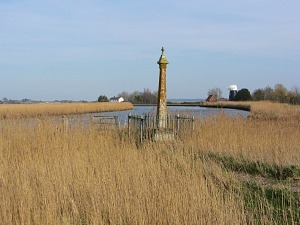 We also have 3 options for the Wherryman's Way - a 2 day, 3 day or 4 day Norfolk walking holiday in The Broads. 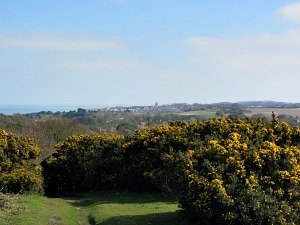 If you're a group of friends or a walking group, we can tailor a short mid week walking break in Cromer to suit all abilities. 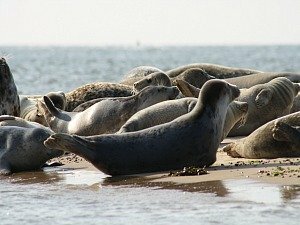 We have a Sheringham Short break walking package especially designed to take in the local and surrounding area and give you a taste of what it's like to live on the North Norfolk Coast! 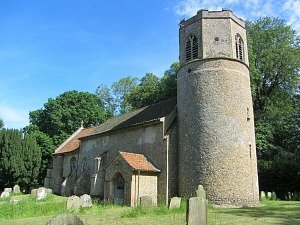 And for the "Ice Age to Royalty" stately homes walk, we already have a suggested itinerary for you on this particular Norfolk Walking Holiday. Once you’ve done that, we’ll take care of the accommodation for you, which, incidentally I have visited personally, met the owners who are all lovely, and made sure that they are places you feel relaxed the minute you walk through the door. We’ll also take care of your luggage transfers. You can find out more about "why walk with Explore Norfolk UK" and comments here. This also applies to the Wherryman's Way , the Group Walking Break and Sheringham Short Break Walking Holiday and the Norfolk Stately Homes walking options. 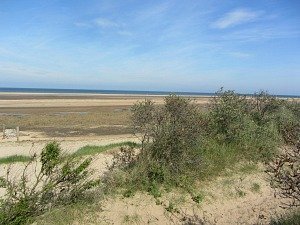 If we’re honest, walking these long distance trails was probably our turning point in realising just how beautiful and varied Norfolk was, and spurned us on to set up Explore Norfolk UK along with our Norfolk walking holidays. We really want you to enjoy these trails as much as we enjoy them and, if you’ve got time, to visit some of the sights nearby as well. 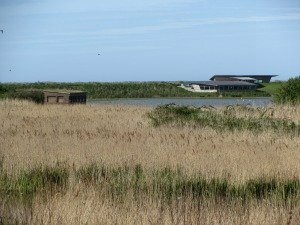 Why not read my blog on my Norfolk Coast Path walk which I did in 6 days (before it was extended - then I had to walk the rest! 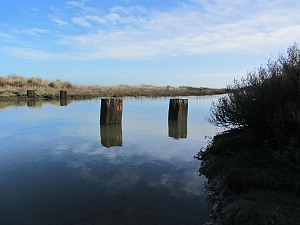 ), or the blog on my 4 day Peddars Way walk. We live here, so we know the area, not just the trails. We want you to see the beauty of Norfolk as we see it. 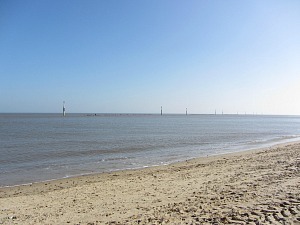 The two National Trails in Norfolk that our Norfolk walking holidays cover are the Peddars Way and the Norfolk Coast Path or both of these trails combined. Lots of walkers do these two trails in one go, although some decide to do one, and then come back and visit Norfolk again to do the other trail. 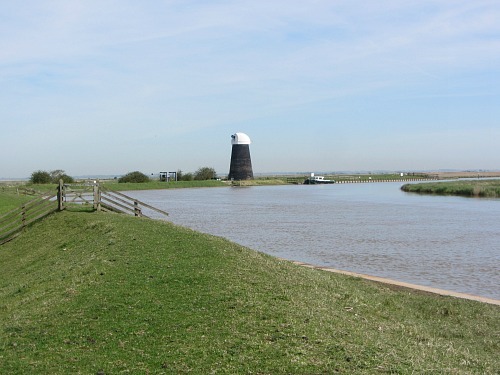 We've also added to our range of Norfolk Walking Holidays the Wherryman's Way trail which follows the River Yare, The Sheringham Short break walking package which takes you up to the dizzy heights of the highest point in Norfolk (! 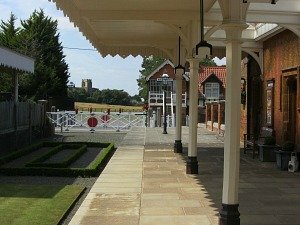 ), the Group Walking Holiday in Cromer which allows you to enjoy the company of your friends as well as having some fantastic local walks, and the "Ice Age to Royalty" Stately Homes walking option which takes in the historic Pingo Trail, Oxburgh Hall and Sandringham House. If you would like to take a rest days on these long distance trails, then we can fit that into your itinerary. There are wonderful castle ruins to see, stately homes that will blow you away, other circular walks in the surrounding areas and of course the amazing nature reserves. All of these are well worth taking a day off for, and I will be very happy to explain more, or suggest ideas. 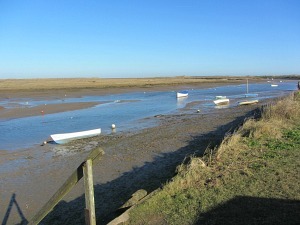 Or you can browse this Explore Norfolk UK site for more information on what you would like to see. It always seems a shame to me that you might just walk the trail but not see the surrounding areas. 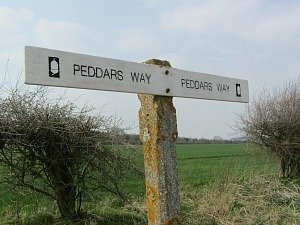 The Peddars Way is one of our Norfolk Walking Holidays and is a 46 mile trail that starts in Thetford and finishes in Holme-next-the-Sea. 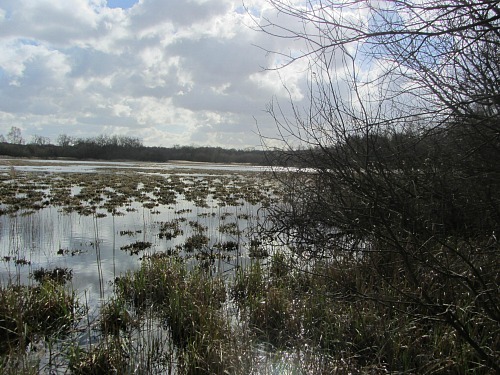 For much more in depth detail on this Norfolk walking holiday trail, what you can expect to see and a how you can fit your walk into your plans, please visit The Peddars Way page. The same goes for the Norfolk Coast Path. This trail is now 83 miles long. It starts at Hunstanton and ends in Hopton-on-Sea. This path was extended in December 2014, and then in 2016 so now covers yet more of the fantastic Norfolk Coast. 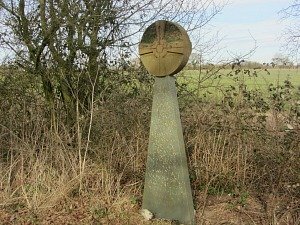 If you want to know more about this trail, please visit the Norfolk Coast Path page. The Peddars Way and Norfolk Coast Path combined makes for a little over a good week’s walk and is 128 miles long depending on how far you want to walk each day! Walking both of these paths will give you such a wonderful sense of achievement. 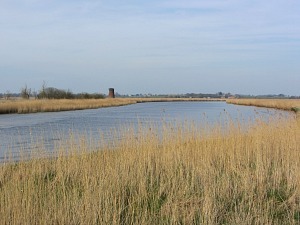 The Wherryman's Way is approximately 38 miles long and closely follows the River Yare from the historic city of Norwich to the east coast town of Great Yarmouth. Please visit the Wherryman's Way page for more details. This mid week break is ideal for groups of friends or walking groups who want to get away for a 3 night stay and do some lovely local walks. The walks could involve some National Trust properties and parks, or a ride on a steam train and then walking the Norfolk Coast Path and many other options suited to everyone's ability. You can read more about this Group Walking Break here. This short break consists of 3 nights and 2 days walking. 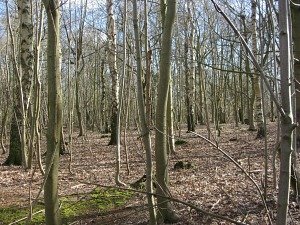 There are 2 walks, one a circular walk and one a linear walk, both taking in National Trust properties, woodland, heath land, amazing views over the North Norfolk countryside and walking amongst places of interest and historic significance. 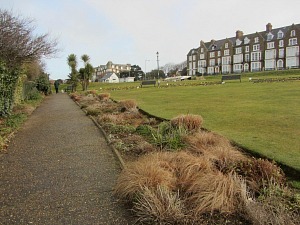 Please visit the Sheringham Short Break Walking Holiday here for more details. 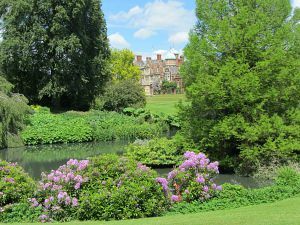 This particular walk takes in the historic Pingo Trail, the Tudor manor house of Oxburgh Hall and its surrounding countryside and the Royal residence of Sandringham House. 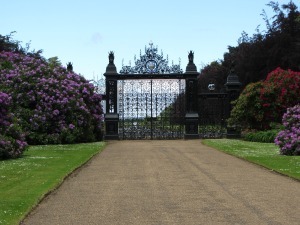 Each day consists of a 5-7 mile walk as well as visiting the two stately homes. 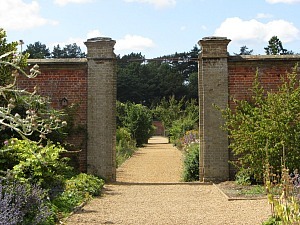 Please visit the Norfolk Stately Homes walk page for more details. Once you reach the end of your holiday, you’ll reflect and look back on where you started, and where you’ve finished, and wonder how one county can have so many varying landscapes. I guarantee you’ll love it! We actually live in Norfolk, we know the county extremely well (as you can see from the rest of the website) and it’s very personal to us. We love these trails and we want you to have the same experience that we have every time we walk them. We are only a phone call away should you need us in an emergency. Because we live in Norfolk, we know the best sights for you to visit on your rest days and in the timescale you have (which we like to encourage if you would like to see a little bit more of Norfolk). We have personally chosen your accommodation. We have met with the owners of each and every accommodation we put you with. We know they are very friendly and accommodating and we also know what the bedrooms and bathrooms are like. We would hate to send you to somewhere we haven’t visited in the “hope” that it would be sufficient. We know the towns and villages you will be staying at. We are small and pride ourselves on our friendly customer service. Your enjoyment of your walking holiday is of paramount importance to us so we will look after you extremely well. Over time we will be increasing the amount of walks that you’ll be able to do in Norfolk so it’s great to get to know the company you’re dealing with. Here I am interviewed by ITV Anglia, walking along the Peddars Way and explaining why I think that the National Trails that have been Google Streetmapped are not the way forward for most walkers. Don't take our word for it, read our testimonials! 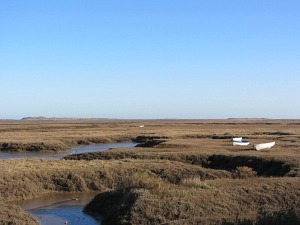 Come and enjoy what mother nature has given to us – this beautiful county of Norfolk! 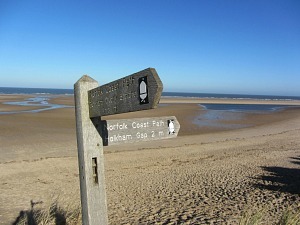 Why not let Explore Norfolk UK help you finally get a date in the diary to come and walk these wonderful trails?